Battlefield is calling! 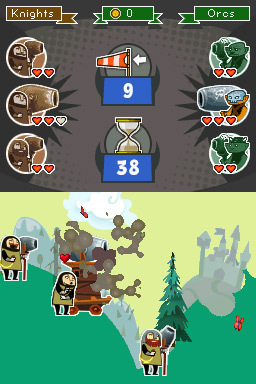 The brave knights face the wild orcs to the final battle. In this fight between good and evil you are the supreme commander. You give the command, the fuses of the powerful cannons start to glow ... There can only be one winner! 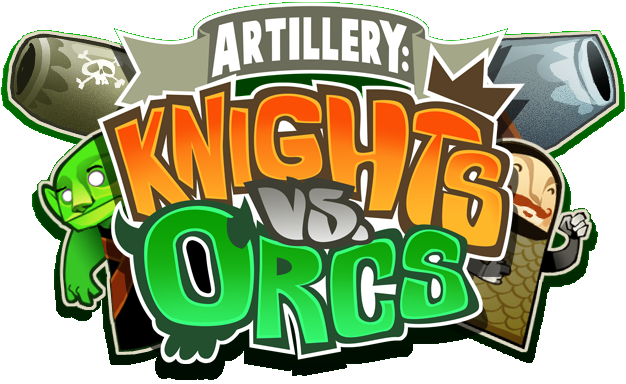 In "Artillery: Knights vs. Orcs" the knights and orcs fight from a distance with their powerful cannons. 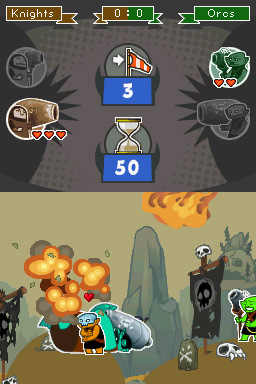 You choose a team and shoot your opponent out of full pipes. Adjust the fire power and the angle of your cannon and don't forget to have an eye on the wind direction and strength. Both teams are in turn alternately. The winner is the team that has first made all opposing warriors harmless. Go in and win! 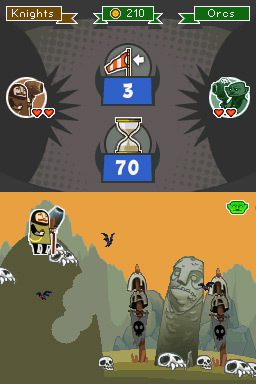 The game is available at the Nintendo DSi Shop for 500 Nintendo DSi Points. The Nintendo DSi Shop is accessible on Nintendo DSi through a wireless connection to the Internet. 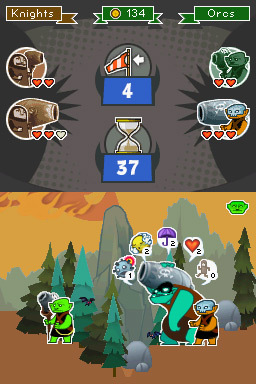 The game saves automatically once you have successfully completed a round. Who gets the content of a treasure chest? The content of a treasure chest is being distributed to the whole team. 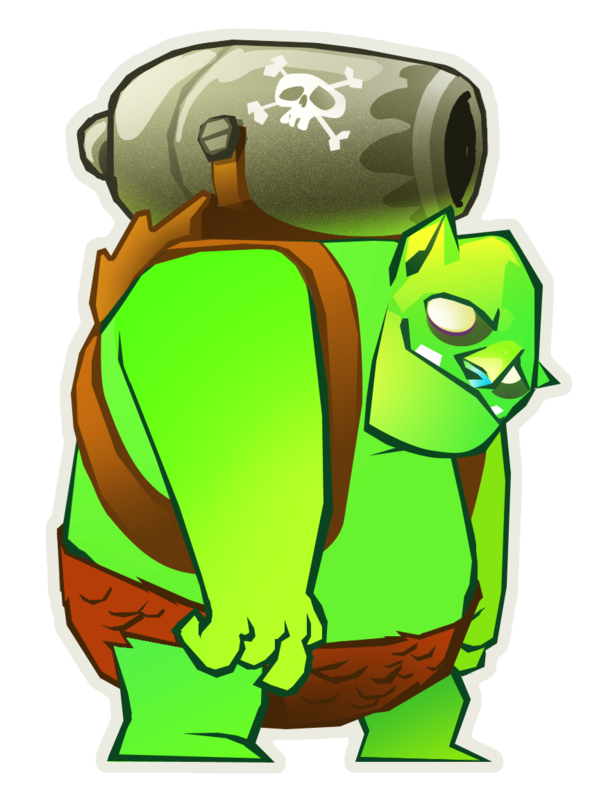 If you find a healing potion for example every character in your team gets a healing potion. How do I get coins? What is their purpose? After each successfully completed round your accuracy percentage is shown. This value is changed into coins. 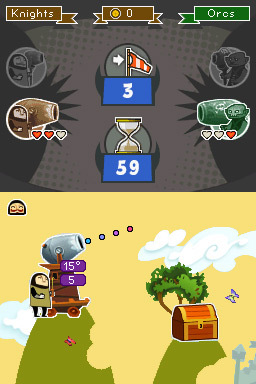 Per each chapter, the coins of all rounds are added together and add up as your highscore for the chapter. What are the stars in the round selection standing for? The higher your accuracy is, the more stars you get. So you can see at first glance, how good you've already played a level. What is the difference between the great and the little warrior? The great warrior scores a hit with twice as much damage as the little warrior. 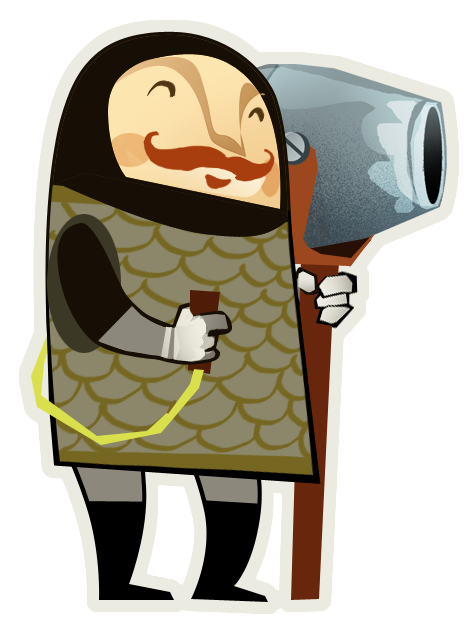 The little warrior in return can move before each shot and so bring himself in a better firing position or to a safe spot. How can I adjust my shot as accurately as possible? When adjusting your shot you can additionally use the directionalpad or alternatively the buttons A, B, X and Y to adjust angle and strength. As always, you pull the stylus over the figure in the desired direction. You can now change rhe so-set angle gradually by pressing up or down on the +Control Pad. To adjust the fire power pressing left or right on the +Control Pad. Alternatively you can use the X Button and B Button for the angle and the Y Button and A Button for the fire power. When you take the stylus from the screen, the shot is fired. Why I can shoot through some objects? 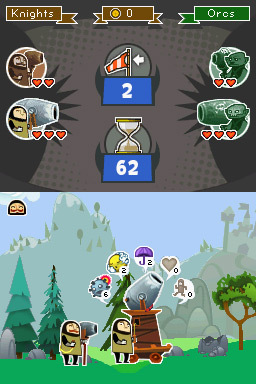 Generally, every object (tree, totem ,...) in a level can be shot. However, if there is an object directly next to a shooting character, it flies through the object and the cannonball can be shot freely. � 2011 by KRITZELKRATZ 3000 GmbH. All rights reserved.